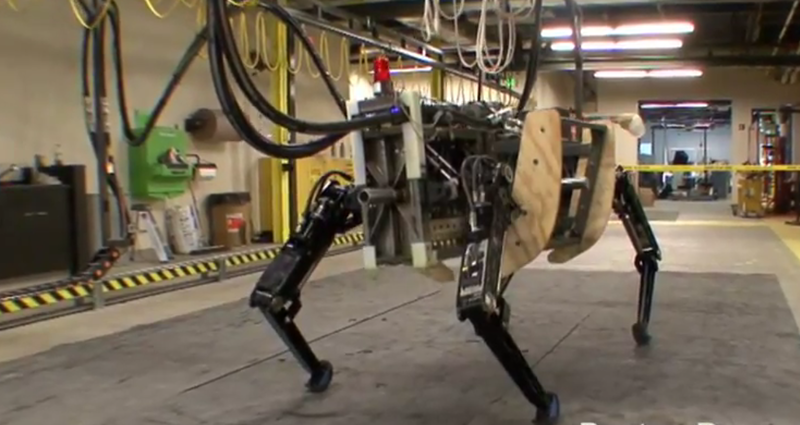 I’ll never forget when I first laid eyes on Boston Dynamics’ BigDog. Watching him climb up forest hills reminded me of a beast made by J.R.R. Tolkien. As cool as BigDog was (and is), its relatively limited payload, range, and awful noise kept it from being a realistically deployable system. AlphaDog, on the other hand, looks like it’s getting very close to something that we could see out in the field, using GPS navigation and computer vision to follow soldiers while carrying their gear over any kind of terrain. The first version will be completed in 2012. This video shows early results from the control development. Check it out!